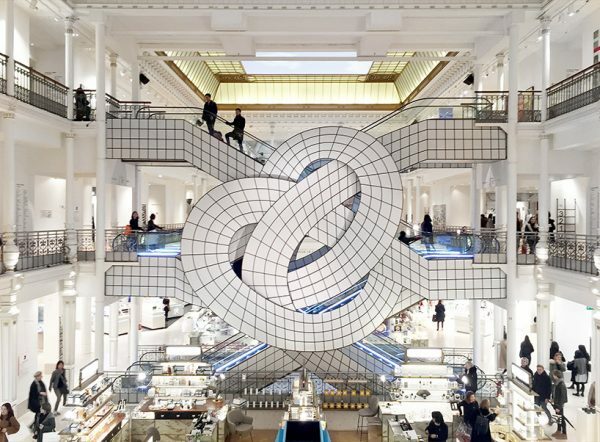 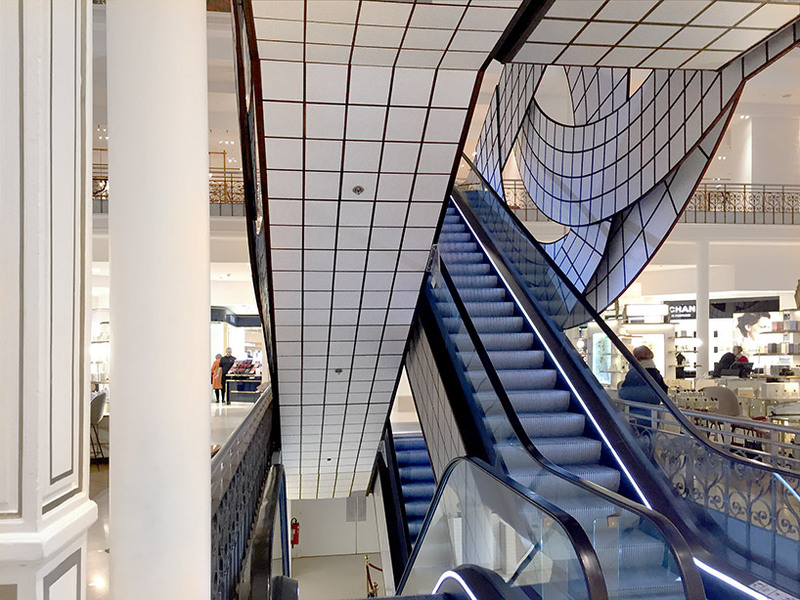 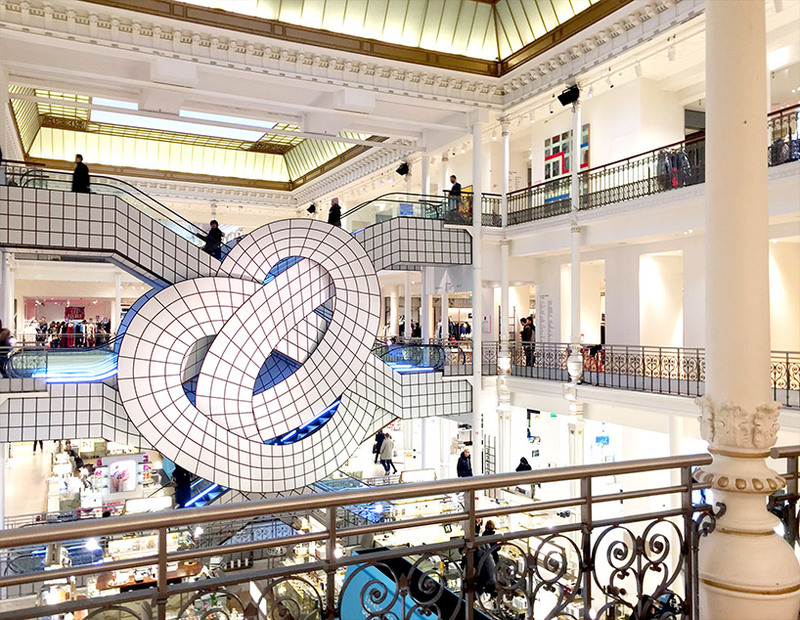 Recently in France, Leandro Erlich reimagined Le Bon Marché’s signature escalators, utilizing his penchant for illusory installations. 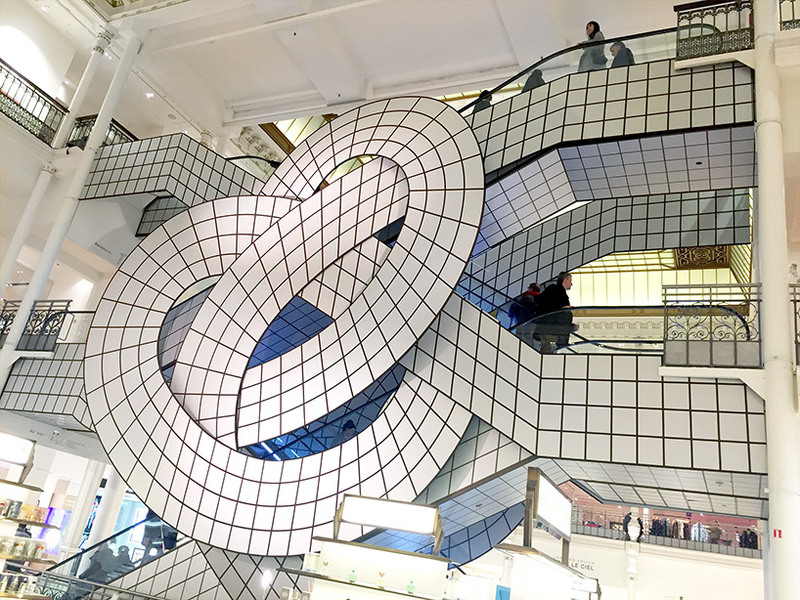 Following in the footsteps of Ai Weiwei, Edoardo Tresoldi, and Chiharu Shiota, who have all transformed the interiors of the famed Parisian department store, the Argentinian artist added a twist to the escalator’s exterior as well as set up lights inside that changed depending on the hour and season. 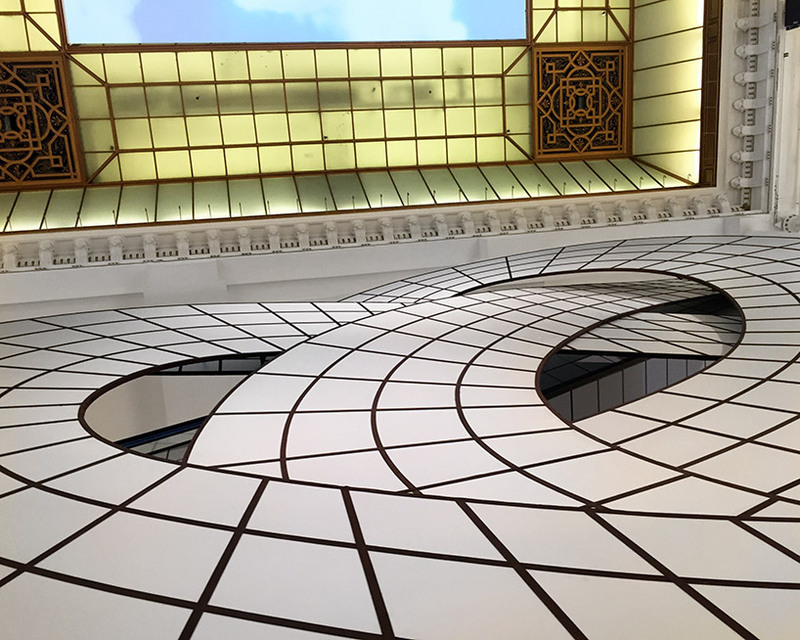 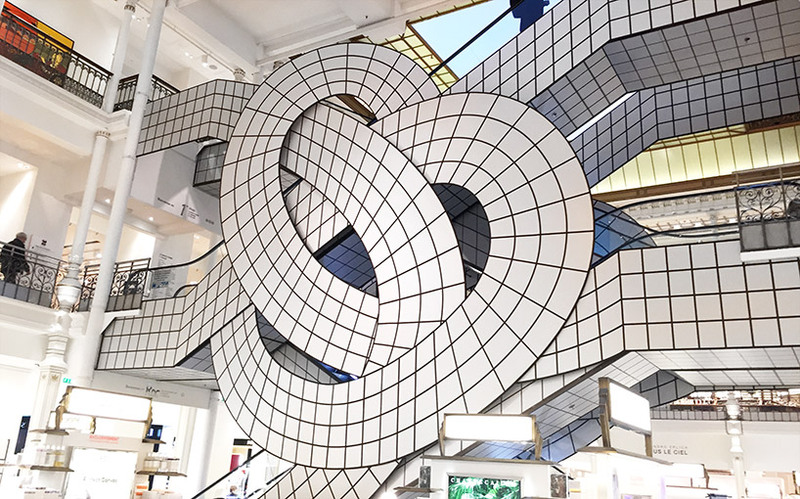 Rounding out the site-specific work entitled Sous le Ciel (after an Edith Piaf song) are mirrors that create an infinite optical illusion as well as clouds on the glass roof and store windows. Categories: Contemporary Art, Installation. 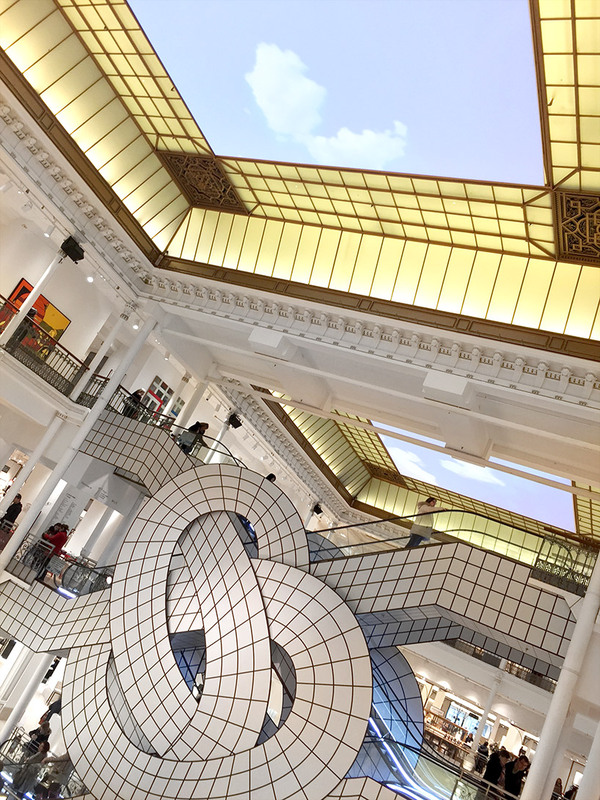 Tags: Contemporary Art, featured, Installation, Leandro Erlich, Paris, slider-featured.